The United Nations on Monday called upon Yemeni rivals to ensure access by UN team to the Red Sea Mills silos based at frontlines in the western Yemeni governorate of Hodeida. "We emphasize that ensuring access to the mills is a shared responsibility among the parties to the conflict in Yemen, UN Special Envoy Martin Griffiths and UN Emergency Relief Chief Mark Lowcock said in a joint statement. "With safe, unfettered and sustained access, the United Nations can make this urgently needed food available to people in need." The UN officials warned that desperately needed food aid for millions of Yemenis "is at risk of rotting" in a key Red Sea storage facility because conditions are too unsafe to reach it, and that the urgency of getting to the Red Sea Mills was "growing day by day", more than five months after aid workers were last able to access grains enough to feed 3.7 million people for a month. While neglecting the internationally recognized government of Yemen, the statement acknowledged "the confirmation from Ansar Allah of their commitment to implement the Hodeida Agreement. We appreciate their earlier efforts to re-open the road leading to the mills which have been carried out under difficult and dangerous circumstances." "We are encouraged by recent engagement of all sides, working with the UN on the ground, to create the necessary conditions for the team to reach the mills without further delay." The UN statement comes three days after the Houthis slammed an earlier statement by Lowcock accusing the rebels of denying the UN access to the mills. "Lowcock lies or derives misleading data and makes no contact with UN envoy to ensure authenticity," said head of Houthi Supreme Revolutionary Committee on Twitter. 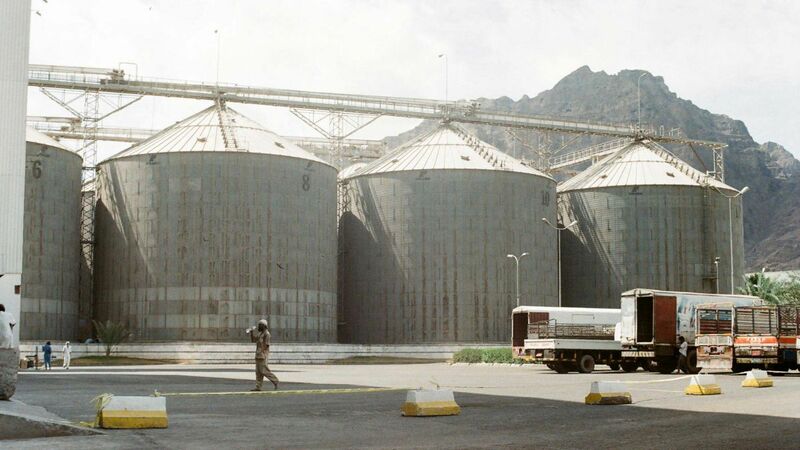 "If it is only the [Houthi] army and committees' impeding the release of wheat to [reach]areas under their control, why other portions are not released to areas held by occupation, as mills under their control and they have opened roads?" added Mohammed Ali Houthi. Last Thursday, UN humanitarian chief Lowcock told reporters that Houthis denied UN to across frontlines and reach mills for security concerns. Parties to the nearly 4-year war in Yemen, after 8 days of peace talks in Sweden,agreed on the 13th of last December to cease fire in Hodeida and to withdraw all their forces from the port city of Hodeidaand ports of Salif and Ras Isa, by the 7th of last January. But this pact has yet to be fulfilled, with both parties trading blames for thwarting the deal.